Now, we need to add the Virtual Account Information to the Apache Configuration File (httpd.conf). The httpd.conf file can be found in /etc/http/conf directory and can be opened and edited by any text editor. If you are not very familiar with the file at this moment, don't change everything in Section 1 and Section 2. The default setting should be okay. What we need to do is to add a few lines in Section 3. Open httpd.conf with a text editor. Find the text " ### Section 3: Virtual Hosts"
You must RESTART your computer or Apache Server for the new records in effect. Open a browser in any computer connected with the Internet and browse. The homepage should be displayed. If not, please check the setting again. The above is a very simple example, you can add more directive between the <VirtualHost>. You may refer to Apache documentation for more details. 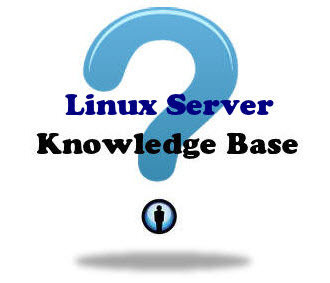 This is the end of this Setting Up Linux Apache Web Server tutorial series.